I'm using a webform to collect applications for an accreditation scheme. Usefully the webform submissions each have a unique submission ID that I can include in the webform-driven email notifications that get sent. And using webform-civicrm integration I can collect the data from the webform submission into CiviCRM for ongoing workflow. What I want to do is to record the webform submission ID into a custom field in CiviCRM at the same time, so that I can then use it in further email notifications to the people involved. But the [submission] tokens are not available for form components - because the form isn't yet submitted so the values aren't available. Any way to do this? Or alternatively create a unique ID number in CiviCRM, and then maybe use CiviRules to generate all of the emails? It seems like such a trivial thing to have a unique reference number, but in Civi the only thing I can see that's useful is a Case ID number and I'd really rather not have to use cases for what is otherwise a very simple process. 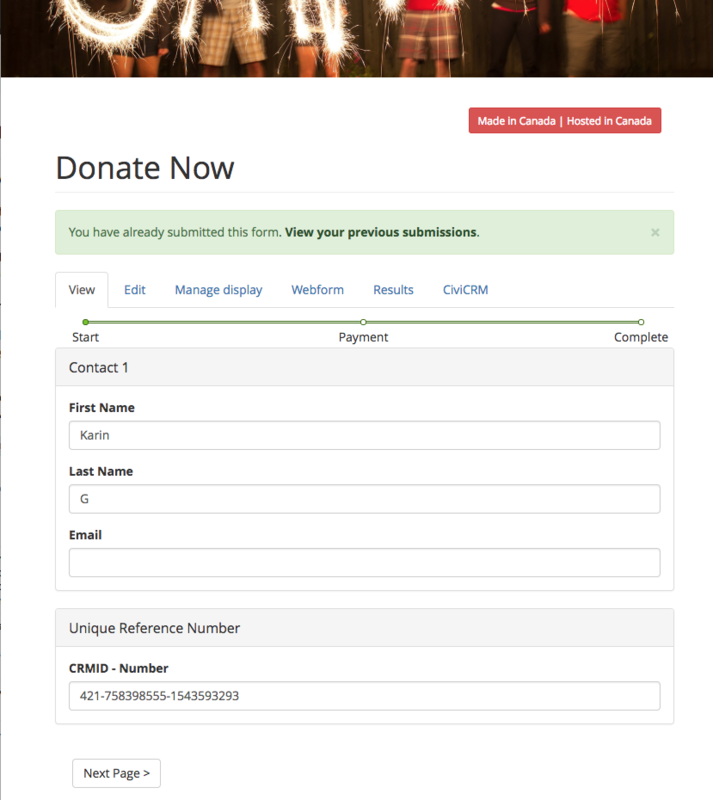 there is an extension that allows you to create a CiviRule with trigger webform is submitted: https://github.com/CiviCooP/org.civicoop.civiruleswebform. That might help you, although you probably then still have to create a little CiviRule action that stores the submission ID in the CiviCRM custom field. Drop me a mail if you want to take this further? Webform form submit, and notify auto email in html format!